Credit cards - You feel powerful when you have one in your wallet as you have the buying power. At the same time, you may have to bear certain fees, which you may not be aware of or don’t know how to avoid them. However, there are ways to avoid these fees. What are the common credit card fees and how can you avoid them? When you apply for a credit card, the issuers charge an amount to cover the cost of evaluating whether or not you’re creditworthy and in turn to approve or reject your request. However, due to market competition, most of the companies are waiving this fees. The credit card companies can ask for this fees if your credit standing is not good, and they ask for it before your account is opened. So, comparison shop before opting for such a card. A type of membership fee, this is usually charged by the issuers to cover the administrative cost like customer service, account maintenance, rewards programs, etc. Request them to waive such a fee. Even if you have to pay a fee to take out a card, after a year, request them to waive it off. They can do it if you’re regular at paying bills. Most of the credit card companies (about 98%) charge a certain percentage of the cash withdrawn or a flat $10, whichever is more if you opt for a cash advance. Here you won’t get a 30-day grace period like what you get in case of credit card purchase. So, be careful while opting for a cash advance. Don’t opt for a cash advance by mistake. When taking out money from ATM, make sure you’re using your debit card. A personal loan is better than opting for a cash advance. It has become less common after the CARD Act came into effect in 2009. This law requires the borrowers to opt-in for this service before the card issuer can charge this fee. 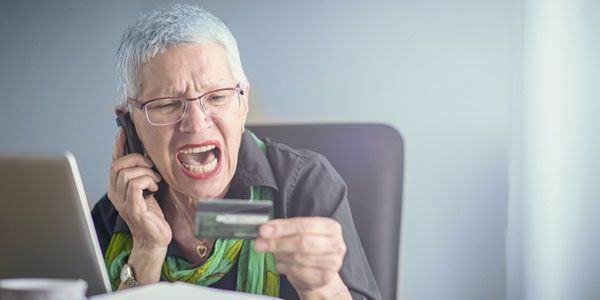 Nowadays, the card issuers, who charge such a fee (a maximum of $35), can only do so up to 2 billing cycles if your balance remains over the limit. You can opt-out of over-the-limit fees. Keep your credit card balance below than your designated credit limit. The credit card holders opt for this insurance policy if they’re unsure about whether or not they'll be able to make the minimum payments. If you want to take advantage of such a service, you’d have to pay a fee that’s equal to a certain percentage of your balance..
Avoid buying such an insurance policy. Instead, create an emergency fund so that you can make at least the minimum payments on your cards. Why should you pay extra for buying such an insurance policy when you can use the same amount to make the payments itself? When you have multiple credit cards to handle and pay off, transferring the balance to a card with lower interest rate makes sense. However, you need to have enough credit limit in the low-interest card or take out a low-interest card, and you have to pay about 3% - 5% of the amount you transfer to the balance transfer card. Moreover, there’s usually a low-interest period after which the rate increases much more. Calculate how much you'd be able to save after paying the balance transfer fee and make the right decision. About 80% of the credit cards charge a returned fee for a bounced check. This happens when you issue a check but don’t have enough balance in your checking account. First of all, monitor your accounts before issuing a check to be sure that you have enough fund in your checking account. You can link your savings account to your checking account. Doing so, if you run out of cash and you issue a check, money will be pulled from your savings account to your checking account, and your check won’t bounce. However, if you make it a habit, it’ll be difficult to save. So, what can be a better alternative? Opt for online payments instead of issuing checks. You may have to pay around $25 if you don’t make at least the minimum payment within the due date. Sometimes the creditors charge more if you’ve been late in the past 6 months. If this is your first time, you can call the credit card company to waive the late payment fee but they won’t do it if it happens again or it becomes a habit. The companies charge this fee when you make a last-minute call to avoid paying late. Usually, they charge around $10-$15 but it’s lower than the late payment fee. Set a reminder to pay the bills on time. Another way to avoid such a fee is to make a payment depending on how much you swipe after you use your cards. Thus, at least your minimum payment will be covered. Another annoying fee is the paper statement fee. This was introduced to promote green banking and reduce the usage of paper and postage cost. So, you have to pay a fee for the traditional way of receiving statements. Also, the issuers may charge a fee if you ask for a copy of the previous month’s statement. Opt for green banking and save your e-mails under folders so that you can easily take a print out when you need them. You have to pay a fee for miscellaneous services like talking to a representative, receiving updates on your cell phone, etc. Some issuers may even charge for automated calls. When you take out a card, ask about these fees so that you’re aware and can avoid paying such a fee as much as possible. In addition, some more fees are these though they’re less common. A credit card company may charge a fee for increasing the credit limit or if you need to replace your card. But, you can always negotiate on the fees if asked for. Usually, they waive off these fees if you are regular with your payments and have been using the card for long. So, remember these things and manage your credit cards efficiently.